Welcome to my blog about the experience of being a widow. Exploring what thoughts, feelings, emotions, and opportunities for growth and healing that are now showing up in my life. It’s been quite a while since I added a post. In mid-September, I attended my annual WomanSpirit retreat – 5 wonderful days among the redwoods with girlfriends and 100 other women. Last year, Mike helped us load up the car and then he stayed home and relaxed. This year, I took Mike with me – bringing his drum to play, and thinking about him a lot. A psychic friend at the retreat told me Mike was standing right next to me, so I guess he did tag along. I thought I would write about this after our retreat but I wasn’t ready to do so. October 21st was the anniversary of Mike making his sudden transition – exiting his earth suit. I didn’t realize what a hard day that would be. I was grateful I had a dinner scheduled with friends that evening. I thought I would write something that day, however, I discovered there was still much to be processed before I could write again. At this point, a year had passed – beyond the “remembering what Mike was doing last year at this time”. So much for it being easier, it just seems more final. I think a part of me has been in shock all year. Now the reality and more grieving are present. November 24th was Mike’s birthday. Last year, I had bought a Kindle a few months before his birthday and was looking forward to give it to him as he loved to read. The Kindle sat in the drawer for a year. I didn’t know who to give it to. In November, I had to file some papers with the county clerk. The gal behind the counter was telling me about a drawing they were having in the office and the prize was a Kindle. She really wanted it – she loved to read. It seemed like the signal to me, and a week later I went back to see her and gave her the Kindle. I was surprised that I cried afterwards. We celebrated Christmas out of town this year. I didn’t want to repeat our usual traditions at home that had included Mike. My daughter and I went to Santa Fe for the week which was very relaxing, with help from the massages at the hotel spa. I rarely stop and rest – something Mike was really good at. We visited with family and friends, walked around the square, checked out shops and museums, and enjoyed local restaurants. I thought I would write this blog while I was there – but no, it was time to just stop. Mike would have been proud of me. I’ve spent some time going through photos of the past few years. Mike didn’t like to get his photo taken but I did manage to have some taken. I even had photos taken that I thought I would send as a Christmas or New Year’s card. That never happened, although now I can show them all with no complaints from Mike, just lots of memories. I’ve been pondering the question of whether I should continue to wear my wedding band, or . . . why do I continue to wear my wedding band? When I got divorced from my first husband, I willingly took off my ring. It’s not like that this time. When Mike and I arranged our wedding in a week, he insisted on getting wedding bands for both of us. I thought it would take too long to get them ordered, etc. We both found rings at the first store we shopped. Mike’s band fit perfectly. I had mine resized after the ceremony. Is there a time limit on how long to wear my ring? It goes so perfectly with the solitaire that was his mum’s. It’s weird. I wear my wedding rings and think of Mike. I see Mike all around me – his furniture in every room, in some rooms it’s all his furniture. Our furniture melded together when we merged our lives. So did our kitchen pots & pans, knives and dishes. A good friend said to Mike, “Didn’t you know you were meant to be together, since your furniture goes so well together?” Now I am left with the furniture – and no Mike. Don’t get me wrong; I love the furniture and everything in the kitchen. I just wish I had Mike instead. (Here’s that magical thinking Joan Didion wrote about.) It feels like I have the leftovers, no matter how wonderful those things are. Speaking of Joan Didion, I read her book, The Year of Magical Thinking, two years ago and last year, I read Christopher Buckley’s, Losing Mum and Pup. Reading these books turned out to be preparation for where I am now. Both books have provided me with references and ways to think about my experience of loss – and the process – of time and thoughts and questions that arise. When I write these posts, I mull over the ideas and the words to use. Weeks have gone by thinking, writing, adding, deleting, rewriting. For now, I’m letting go of the question about wearing my rings. I’m done focusing on this – time to move on. The answer will be revealed in its right way and right time. When I take my wedding rings off, there’s an indentation that remains on my finger. . . just like Mike has left an impression on my heart that will always be there. The halibut was Mike’s recipe – delicious and easy. I don’t think I’ve made it since he’s been gone. I bought fava beans and corn on the cob last week at the Farmers Markets to make the salad for the first time since last summer. It was a favorite recipe of ours. Ours. I miss that – sharing things that were our favorites . . . our “dinner and a movie” nights, our gatherings with friends, reading the Sunday papers together. 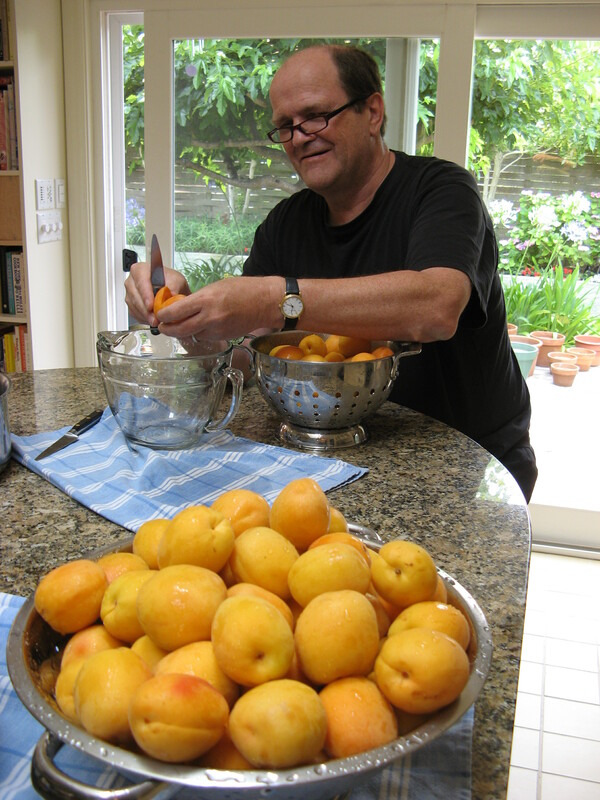 Last year at this time, Mike was helping me pit apricots for jam. 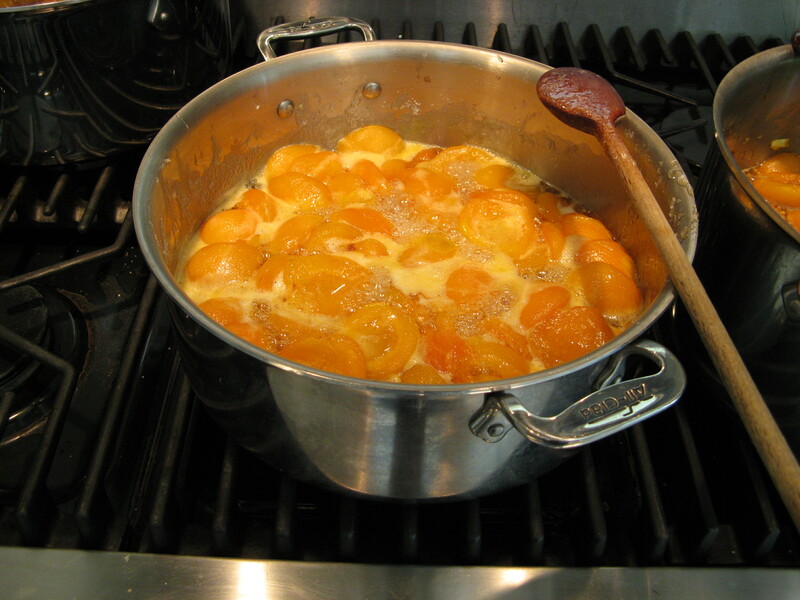 I’ve been stirring all evening and have made four batches of apricot jam. Next week I’ll get another case from the farmers market and make apricot butter, which is my favorite. Both are enjoyed by all that receive them at Christmas. Last weekend, I flew to Hawaii for a few days to join friends for classic Hawaiian weaving – I wove bracelets. I was also there to release Mike’s ashes into the ocean. He always wanted retire to Hawaii. We decided to gather Sunday morning – about 16 of us. I am so grateful for all that came together as I needed everyone’s help to make this ceremony happen. I had never opened the bag holding the box of ashes after I picked it up a week and a half after Mike had split. It sat in the closet till I packed the bag with the box in my suitcase for the flight to the Big island. Only just before the ceremony did I take the box out of the bag . . . and discovered that the box was a heavy metal box – sealed shut, with no way to open it. I asked for a plain box. Who knew? Two men in our group both tried to open it and called it a safe, not a box. The handyman at the resort was called to bring his tools. As he was figuring out how to open the box, he asked, “Did he really like this place?” Yes, actually he did. Success – the box was finally pried open. This being the No Faults Tour weekend with my friends . . . the ceremony began a little later than originally planned – and, it was perfect. Including trying to get Mike out of the box. One suggested a tide pool at the ocean’s edge was a good place on this balmy, windy day. Another provided a basket to put the bag of ashes in. A special friend wore a sarong in Mike’s honor, as Mike would have worn one if he had been here. Another was wearing a look-alike to Mike’s favorite sarong. She had bought it at the market just a few days before – colors she didn’t usually wear but it had called to her! Aloha, Mike. We all filed down to the tide pool and gathered in a half circle. I said a few words about Mike – about the joy and love that connected us to Mike and to each other. I hadn’t been to this resort since our honeymoon. Now Mike and I were both here again. We prayed and sang the chant – There is only one of us, in your eyes it’s me I see, there is only one of us, you are my reflection, there is only one. I stood barefoot in the water and with Amazing Grace being played on the harmonica, I poured Mike’s ashes slowly into the water as the waves rolled in and out. The fine silver grey powder mixed and swirled with the water – stirring and flowing into a larger and larger area at the edge of the ocean. 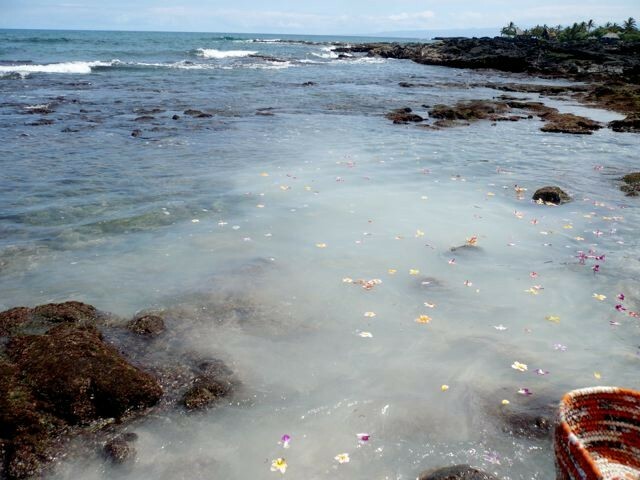 We broke our leis and tossed the flowers into the water – a mix of peach, pink, purple and white floating above the moving misty water. The mist didn’t go out to sea as much as dissolve and merge with the water and drift down into the sand at the waters edge. I guess he’s not leaving the beach. We gathered back on the sand and many expressed how beautiful the ceremony was. One said that this is how he wants to go – so simple and so moving. When I was pouring the fine ashes into the water, I flashed on how this is what Andy Goldsworthy has done . . . grinding up natural elements and pouring the colored powder down a river or stream. 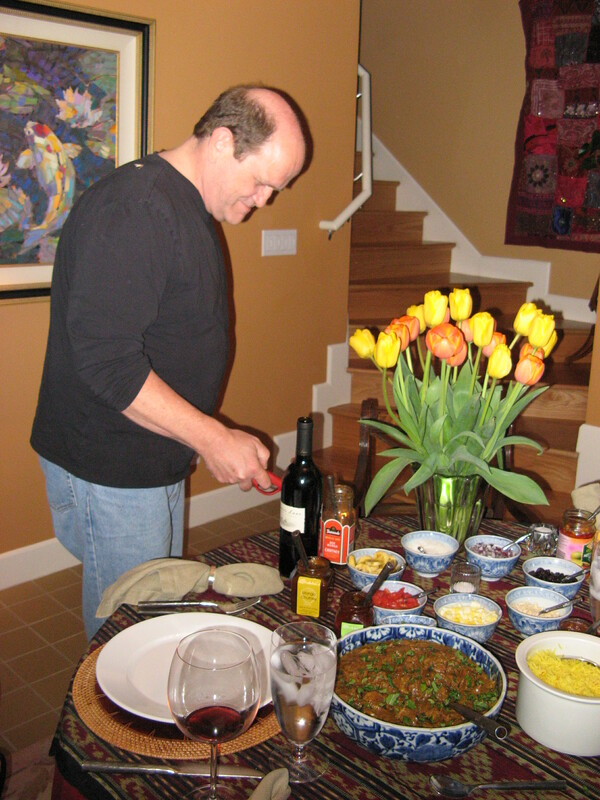 Here I was making art – the ephemeral art of life – watching and remembering sweet Mike. It seems like the first year is the most difficult. There have so many firsts without Mike. Halloween. Thanksgiving. His Birthday – that day felt really empty. Christmas. New Year’s. Valentine’s Day. I thought about him a lot. He made a big deal of Valentine’s Day. He surprised me each year with a special gift and card. I’d never had a man be so thoughtful and loving with this holiday. Easter. Our wedding anniversary – I wrote April 6th for two days in a row until I realized why. I had forgotten our anniversary a couple times before. I was always happy he remembered it. 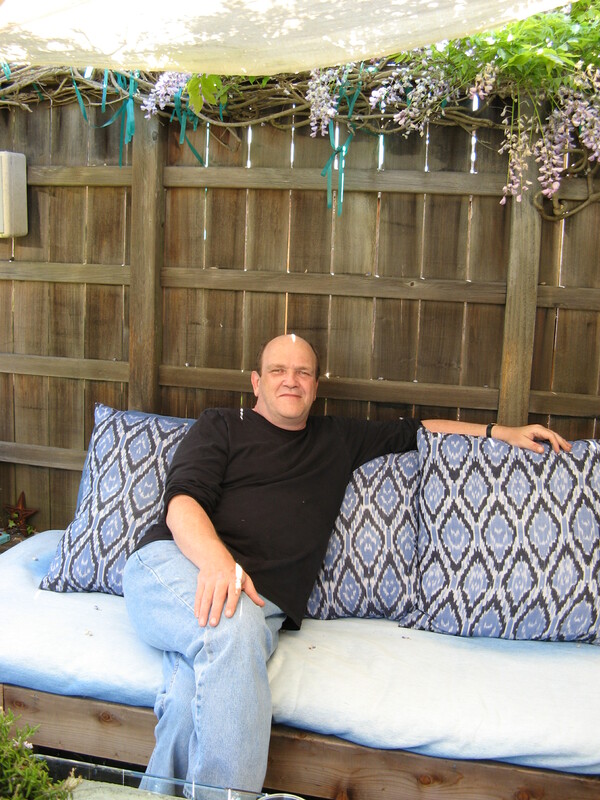 Much harder was April 21st – six months since Mike departed this life experience. Every time I thought of this, tears sprung to my eyes. It seemed like it had been so recently and yet, so long ago. I couldn’t really write about it till now. This timeframe feels like a milestone in accepting the reality that Mike’s not here. I keep reflecting on Joan Didion’s book, The Year of Magical Thinking. 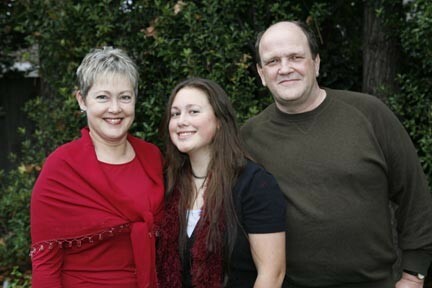 It took a year for her to really accept – or begin to accept – that her husband was gone. More holidays and remembrances to come. Memorial Day. Fourth of July – last year we were at Dillon Beach, as usual. My girlfriend and I and our daughters have been going every year for ten years. It was so wonderful to have Mike there, too. We all had so much fun. I know I will miss him being there this year. At first, it felt uncomfortable driving Mike’s Mini Cooper. It smells like Mike, my daughter said. It did. I felt like I was surrounded by him. He loved his Mini. Years ago, I read that items that are well loved, hold that love energy and you can feel that attraction, that love. I have experienced this with rings – my mother’s, my grandmothers’, and Mike’s mother’s – and with the Mini. I’m driving it more now. The scent is beginning to fade, or perhaps, I’m getting more used to it. This last week has been transforming, cathartic, sad, grieving, digging up soil that hadn’t been turned yet . . . turning up items of Mike’s that I’d stuffed in drawers – till later. I had shelves and rods installed in the master closet a week ago. Which meant I had to empty the closet. This also meant that I had to go through everything in the closet. No more waiting. As I put things away, I cried, wishing Mike were here. I’m washing lots of clothes as I sort through it all – what to keep, what to pass on. Cleaning. Clearing. Working in my closet. Seems like inner work to me. Feels like it, too. Lots of greiving. Changing the inside as I change the outside. After a week plus of closet work, I found myself drawn to clean out my email in and out boxes. My inbox messages had been filed a couple months ago, but I had not cleared the outbox since before Mike passed on. I found emails I had sent to him and a few from him – more dipping into the depths of what was. . . that is no longer. I cried and pushed the delete button on the emails. There’s no deleting him from my heart. When I was first reeling from the news of Mike’s death, the image that came to mind was of turning into goo – just like a caterpillar does. It deconstructs in the cocoon and melts into goo. The imaginal cells then move into action to reform the goo into a butterfly. I was pushed into the goo. I feel like I am still in the goo now. Sometimes I feel like I have an inkling of what’s next, that my imagination, my imaginal cells are creating something new. It’s not yet clear, it’s still mostly goo. A few weeks later, a second image came to mind . . . I was flattened like Bozo the Clown. When I was a child, we had a blow-up punching bag of Bozo the Clown. You could punch it to the ground, and it would right itself because of the weighted bottom. I feel like I was punched to the ground. There are times when it seems I am righting myself, and other times when I am flattened again. Bozo always came back to standing up and I know I will, too.